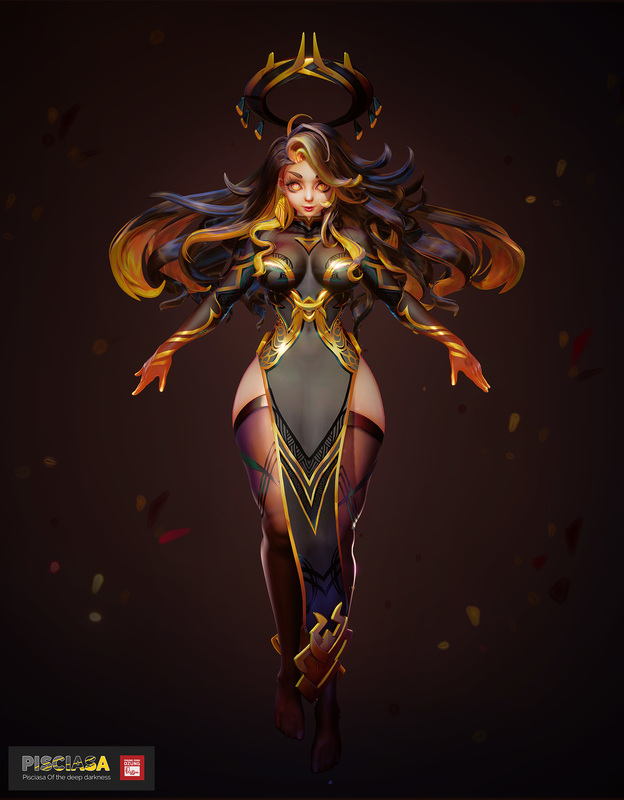 Gorgeous work! 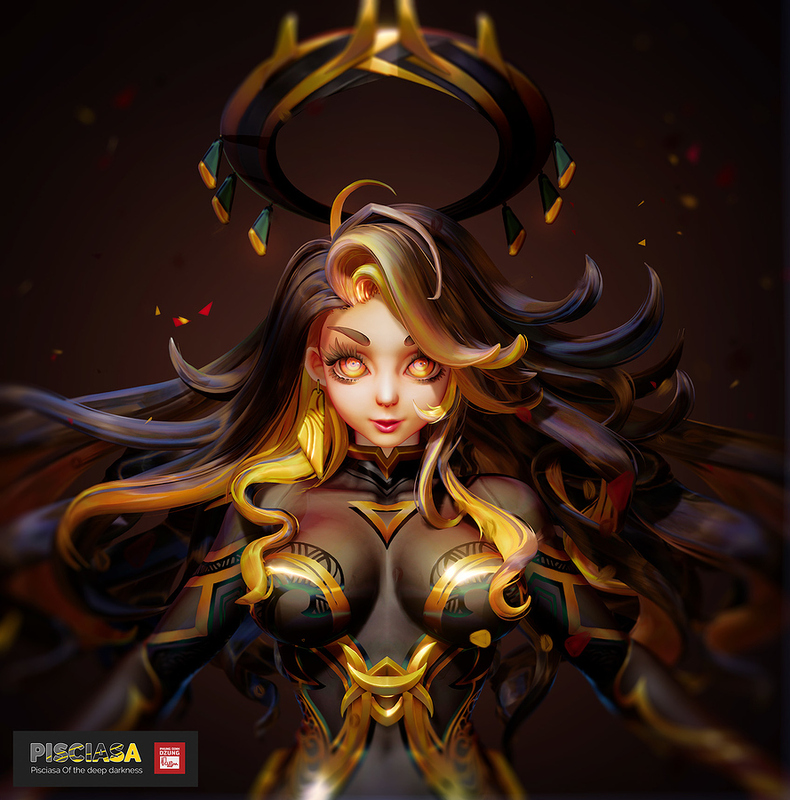 Ironically, even though I'm participating in ArtWar2 too (2d section) I actually saw your post in StylizedBay first (great idea for a community, btw, and I can see how your style fits with that perfectly.) Anyhow, no crits, just keep going, I'm sure you'll finish by the deadline. Good luck! I'm just super impressed you box-modeled all this! Nice work. thank you ! <3 Hope Stylized Bay will be growing stronger ! 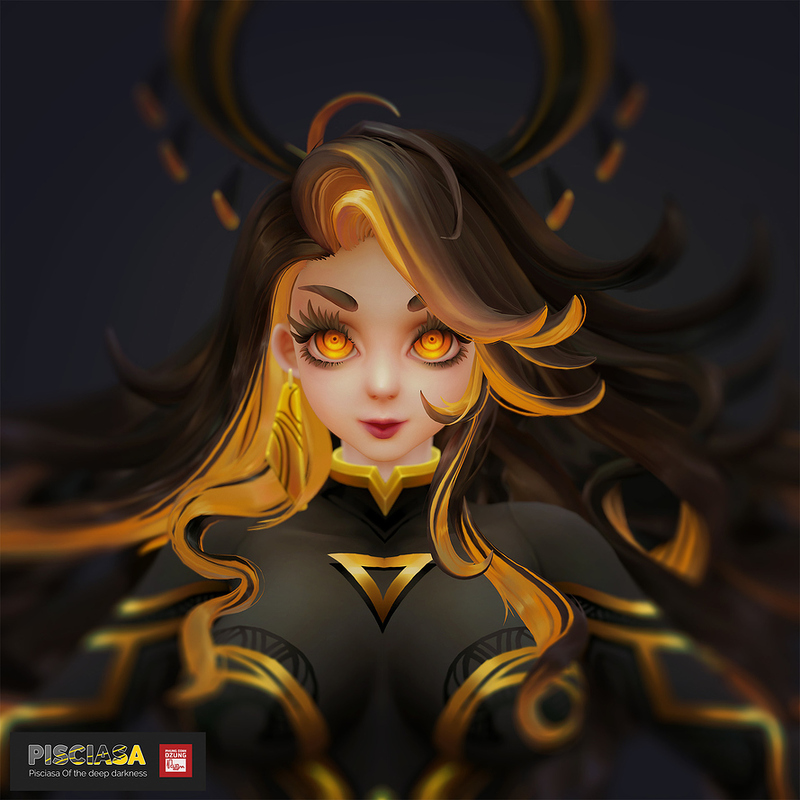 Update of #Pisciasa final Hair Model & Face. Well, creating smaller threads of hair strands from main hair cluster shapes was my main workflow to dress up hair model so far, but now for #Pisciasa I am not really happy with the look of it since the antialias of mesh border are not that nice to look at. I could use Masked Material to break these loose strand into smaller thread but then AA is even more of a problem when it come to masked translucency shaders. In some other unlit shading project, I could fake or get away really easy with blurry opacity of translucency alpha shader but if only Real time renderer engine such as Marmorset or UE4 could support lighting/shading model of such shader as nicely as masked or opaque shader so that these loose strands would have the same shader look as its primary cluster. 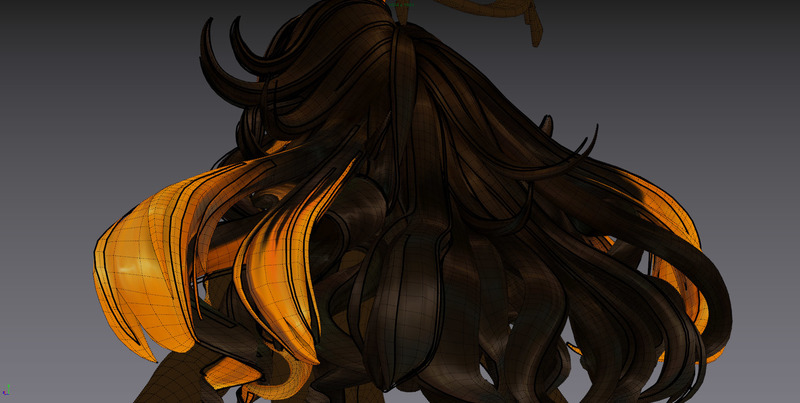 Or at last the depth sorting for Translucency shader should be working so I can apply translucency shader to the whole hair model. 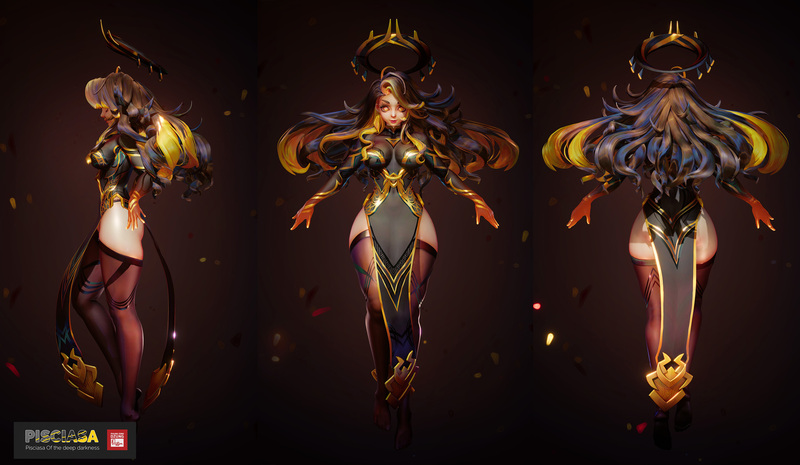 well, may be in 2 or next 3 years they can solve these problem with translucency shader or ... I have to think of a work-around lol . Oh my goodness, the progress and design, how you go about this is so awe-inspiring. The design is gorgeous and intricate, i really do love the hand painted style you have going. Seeing this thread boosted my morale, I hope the finished piece gets the recognition it deserves! Thank you everyone for your comments and compliments ! <3 really appreciated ! 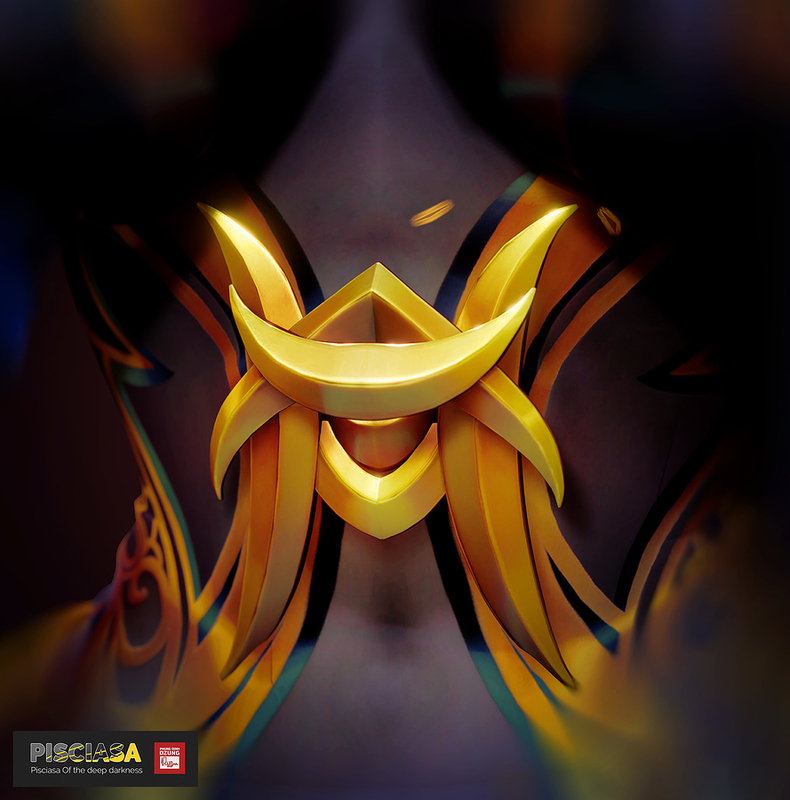 just some small update: progress video of texturing Pisciasa Face here ! 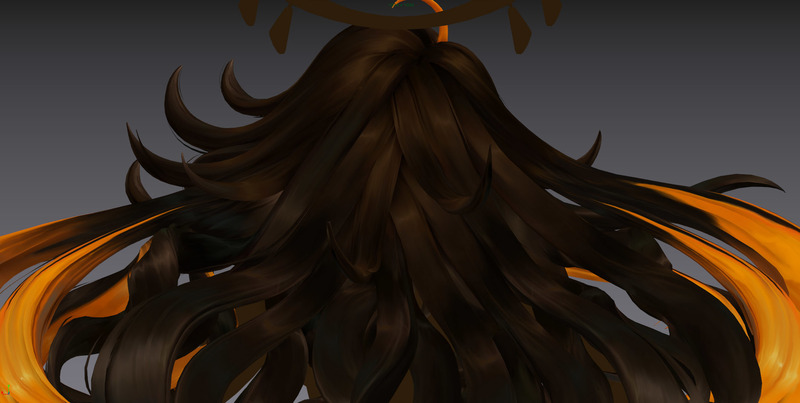 I will uploaded the hair texturing process in next day ! 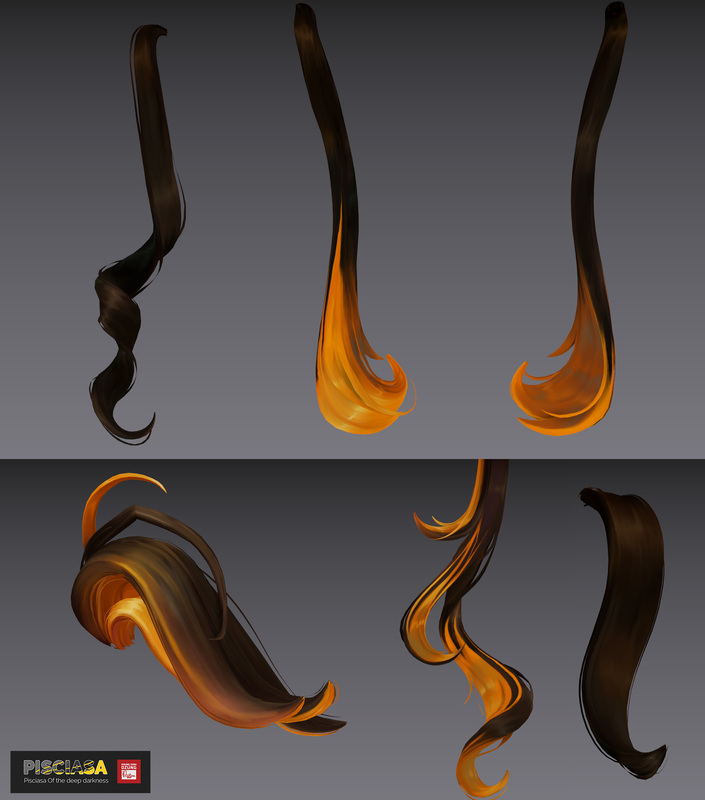 i really like how you model hair, i learned a couple tricks. Thanks for sharing! 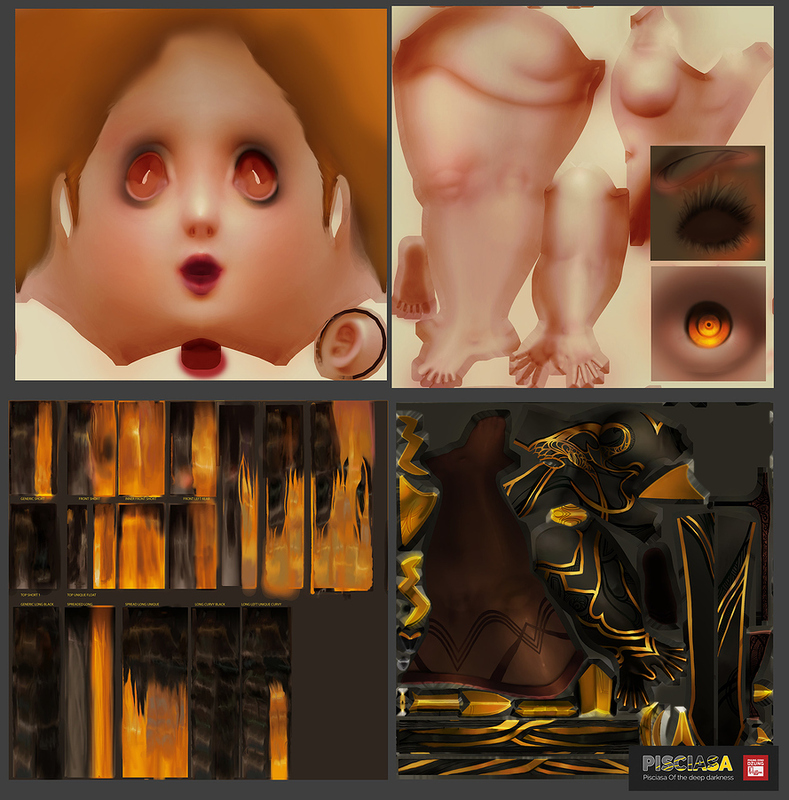 Sum up of Pisciasa diffuse pass. 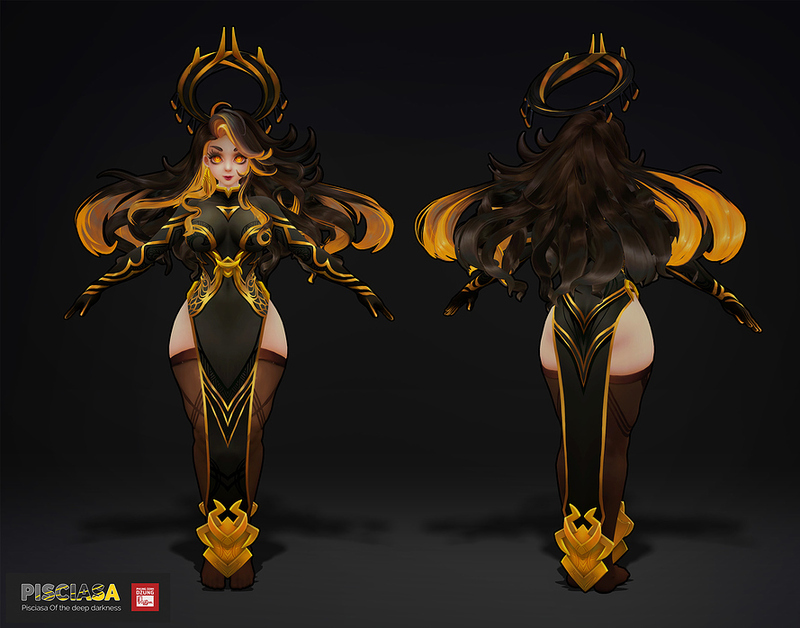 Next stage is bringing her into UE4 ! 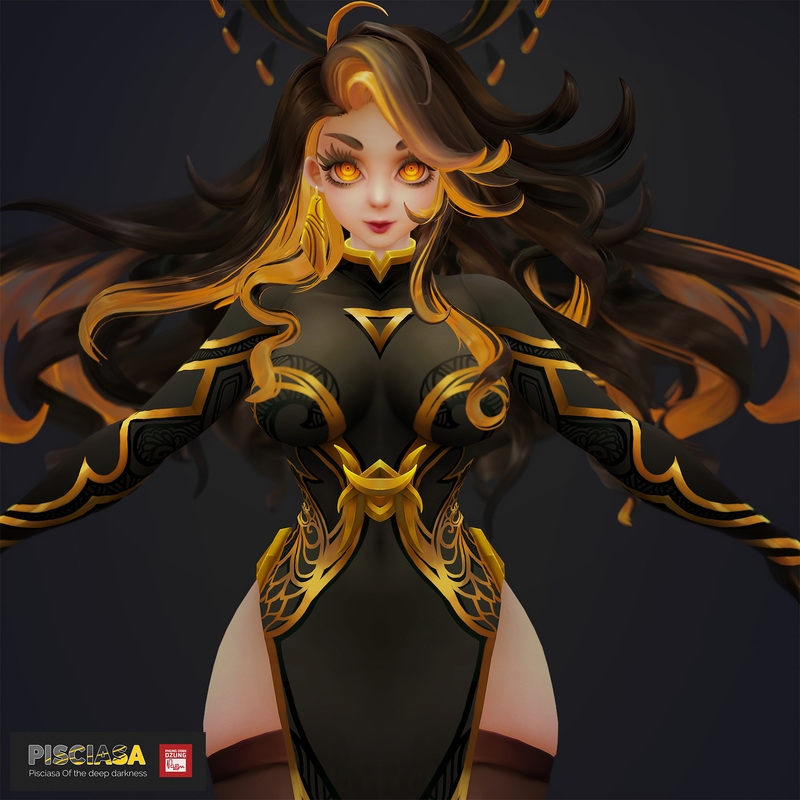 update of my Pisciasa Ldev shaders in UE4 , I am using my fully customized shaders that I have been working on over time for stylized PBR workflow like Stylized Anistropic Hair shader, Skin Shader, stylized reflection with custom reflection map etc... I will update more info about these shaders in the near future ! well , there 's not much time left so I gotta update the final images soon within this final week of ARTWAR XD ! oh ... and a bonus view XD ! 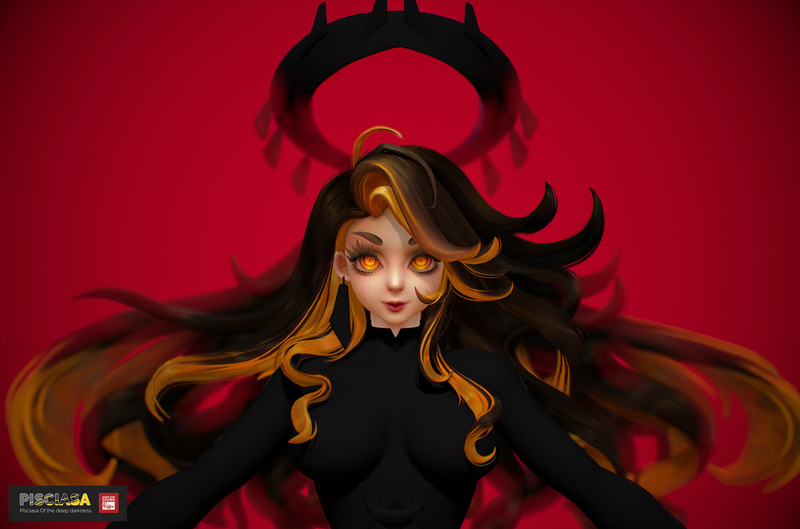 then what 's left is the final pose shot sculpt, render them and prepare the final images for submission. She is amazing! Could you please share how you achieved this fake the anisotropic reflections of the cloth? I love them and I will be very very grateful for a some kind of small tutorial! Or maybe sell it through gumroad. I look forward to those shades and stuff. 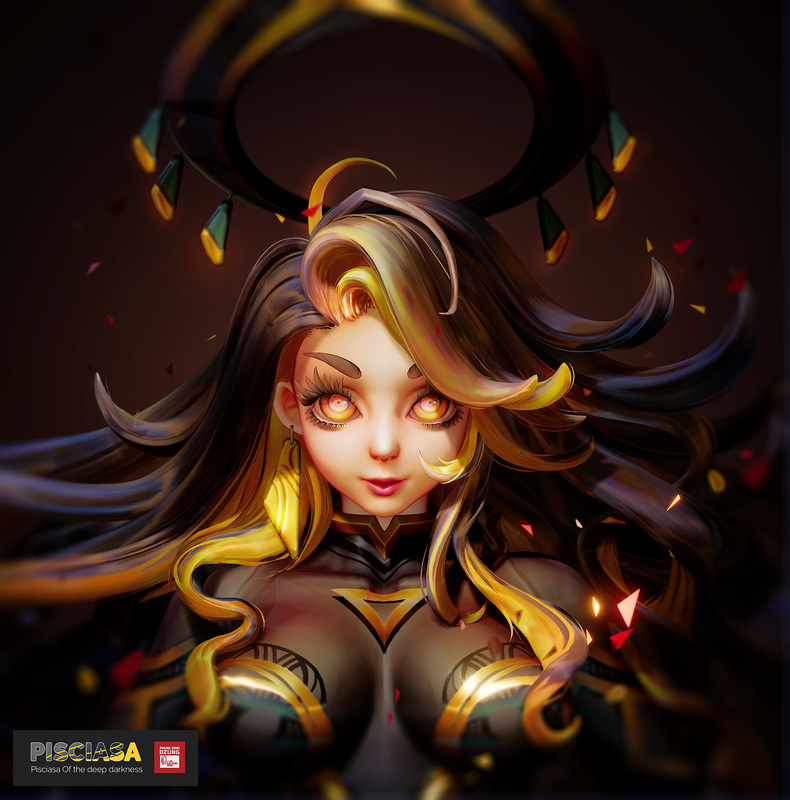 Really amazing work on this. unfortunately I won't finish mine in time. I quickly want to thank you for the motivation and inspiration during this competition. Keep up the good work and best of luck. This is better than perfect. 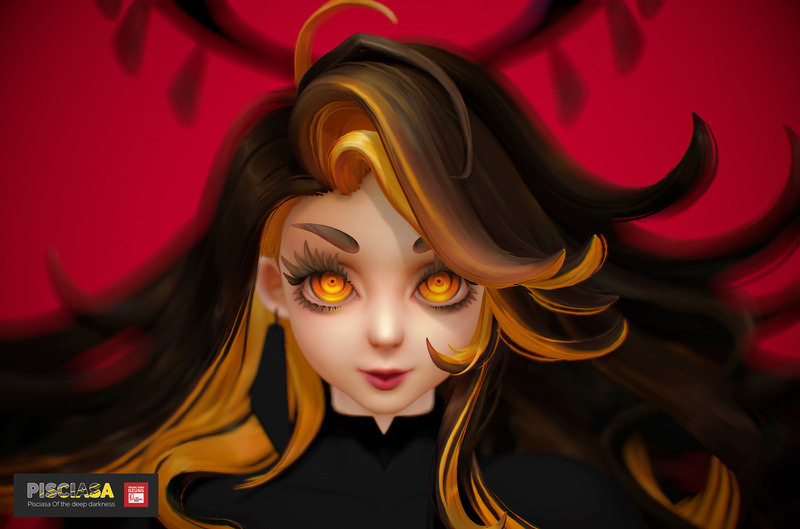 I’m enjoying a lot your tutorials and yes, if you decide to do some course/tutorials and sell stuff I will be really interested, couse this is amazing. Awesome piece of art sir!